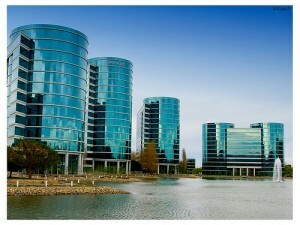 Oracle’s Q1 earnings announcement showed some very good numbers. Overall the company, beginning its second year of aggressive cloud promotion, is showing significant year-over-year improvements thanks to its turn to cloud infrastructure, applications, and platforms. But the numbers, read right, announce the end of the beginning of the end, of sorts, as much as they announce the end of the beginning. Oracle is the last major software vendor to adopt the cloud as its primary medium, and while it will support its legacy customers as long as necessary (it has a good history of loyalty to customers in this regard) there’s no doubt about its direction. With a legacy installed base, moving to the cloud has been more difficult for Oracle than it has ever been for companies like Salesforce or NetSuite which were both cloud natives from day one. To make its pivot, Oracle has had to spin up three businesses, one for infrastructure, IaaS, and one each for SaaS and platform (PaaS). Infrastructure is a low margin business because there’s a lot of low priced competition but it’s essential to the company’s strategy because there will be a fraction of its 425,000+ customers who get to the cloud by first only moving locations of their data centers. Without an IaaS business, those customers could go anywhere and keeping them in the software fold would become more difficult. Oracle’s transition to the cloud removes the last legitimate holdout, the last objection to cloud computing almost anywhere, and with that we can call a top to an age of computing that began with mainframes more than 50 years ago. The logical question now is what’s next? The rest of the industry is not standing still and along with transitioning its customers to the cloud Oracle is continuing to invest in advanced technologies like AI, machine learning (ML), and IoT where it competes with most other vendors. At the same time that Oracle is competing, it is also leading in database and some of its competitors are also customers. During the earnings call with press and analysts, former CEO, founder and current CTO, Larry Ellison offered a preview of Oracle OpenWorld, which will run during the first week of October in San Francisco. Ellison announced that the next version of the Oracle database would be automated so that better than 99 percent of set up and tuning could be done by the system itself using AI and ML. So I’m calling another top, in another part of Oracle’s business, database. Most of the competition from the early days of relational databases has either departed or been absorbed by larger entities and Oracle may be the only fully independent vendor left (I can’t think of anyone else). The database industry, along with satellite industries in various forms of hardware, software, and services, once formed the backbone of a major economic driver, the tech industry. In its hayday the industry employed (and still employs) a huge number of people. But with the introduction of an automated database, coupled with an already strong cloud sector, we can see a good deal of automation and commoditization happening that, among other things, is cannibalizing itself, erasing jobs and commoditizing products based on databases. There’s nothing to be done about it. Business runs on information but it also runs on efficiency and cloud computing and automation are part of a never ending quest to keep overhead low and profits high. The more important question for now is what’s next? What will be the next disruptive innovation, the thing that drives the economy and that hires lots of people and deploys new infrastructure. Many people figure the next shift will look a lot like today and think IoT and things derived from it might be next in line. I don’t know. Viewed in a certain light, the IoT looks more like a further commoditization and automation of traditional technology than it looks like the next big thing. After all, the IoT is supposed to be about automation using the Internet to communicate between remote devices with sensors and the mother ship for the purpose of dispatching services and supplies, among other things. It’s hard to see how this would lead to a great expansion in employment though it certainly looks like a way to improve capital efficiency and profits. For the moment, it’s enough to understand that the next major economic move will stand on the shoulders of the current paradigm and that it will be steeped in technology. Iron and stationary steam engines gave way to steel and mobile steam engines. The next decades are likely to look like the cutover from iron to steel. It will be an interesting time, as the Chinese say.